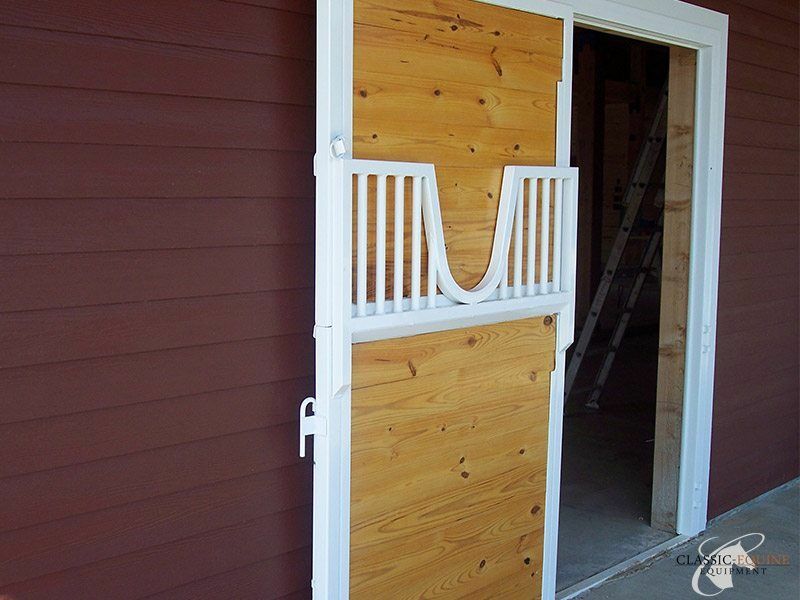 We pride ourselves on having the safest Dutch door on the market – absolutely no protruding parts inside the door for your horse to catch a halter! 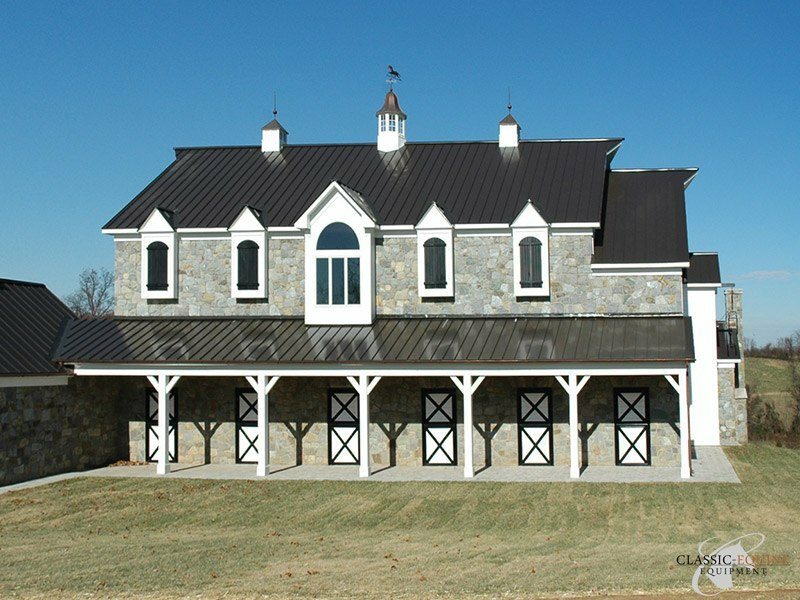 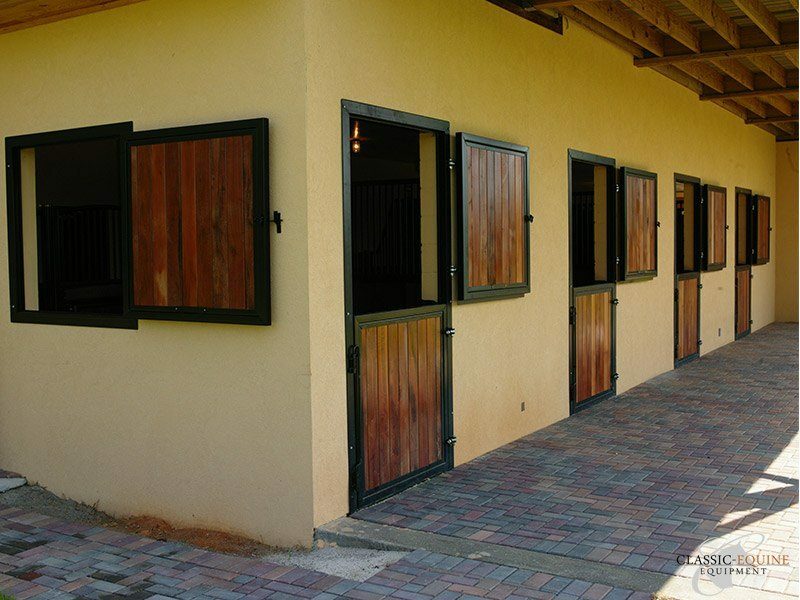 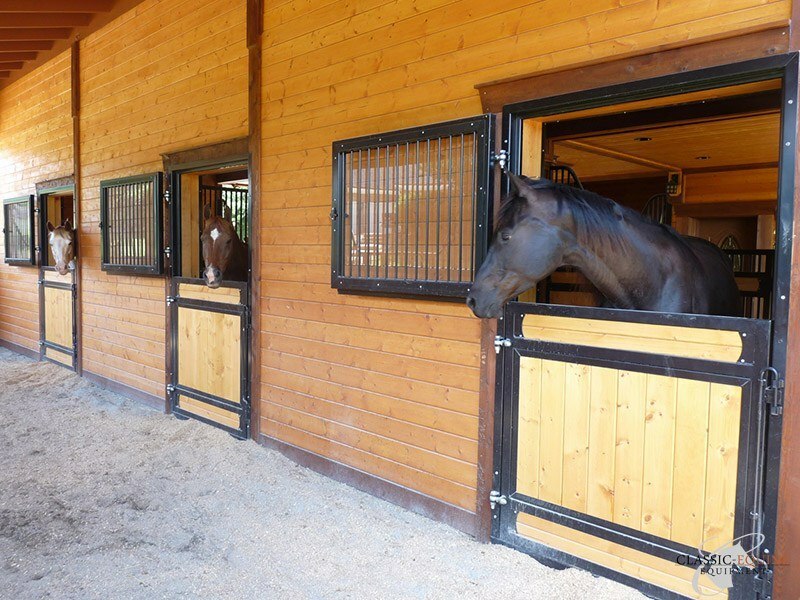 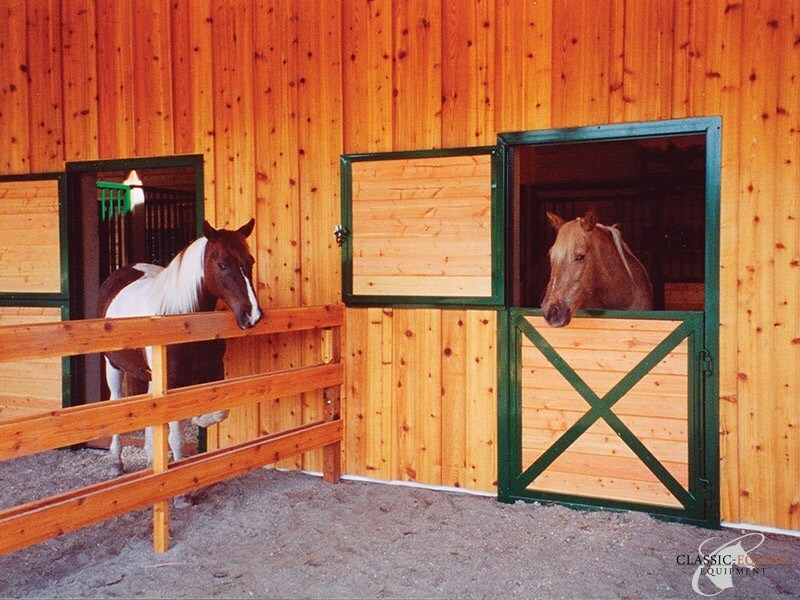 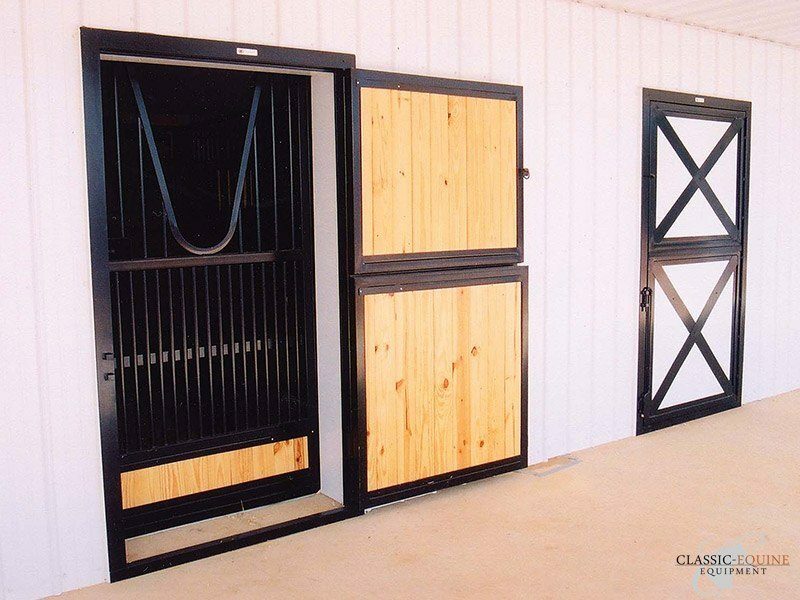 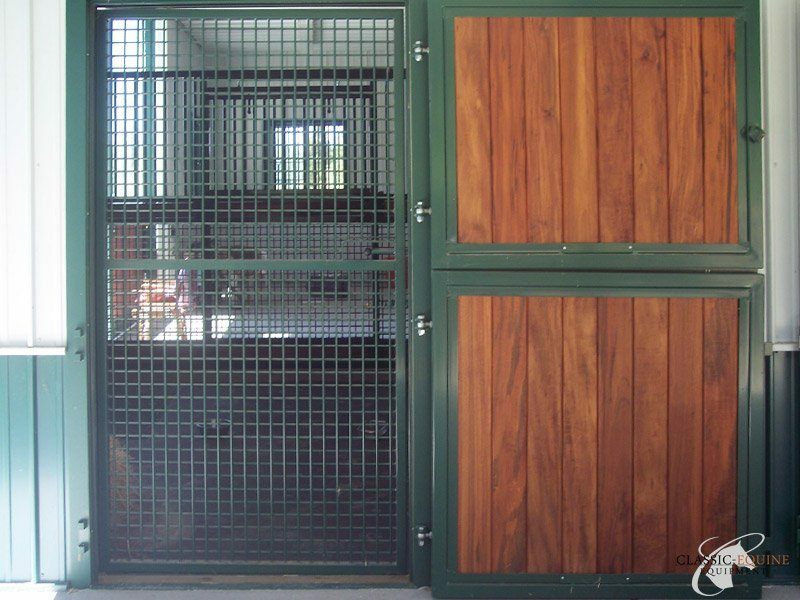 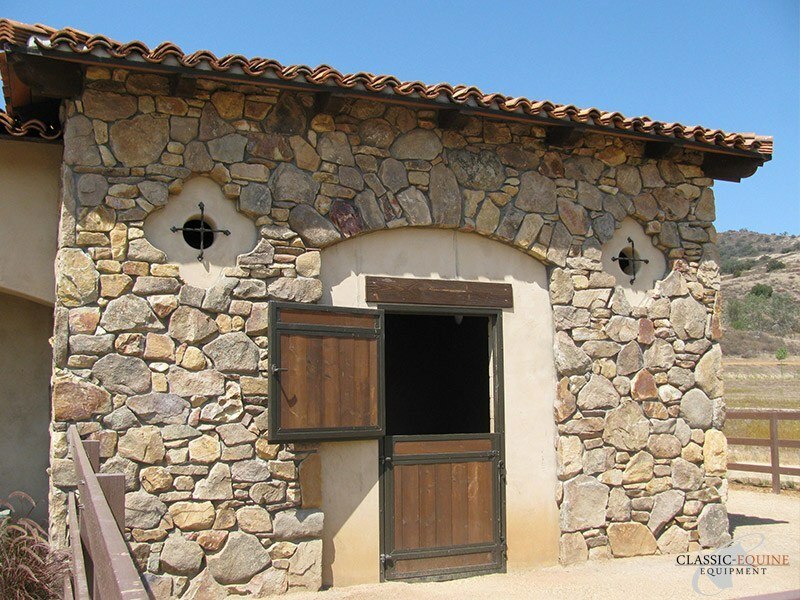 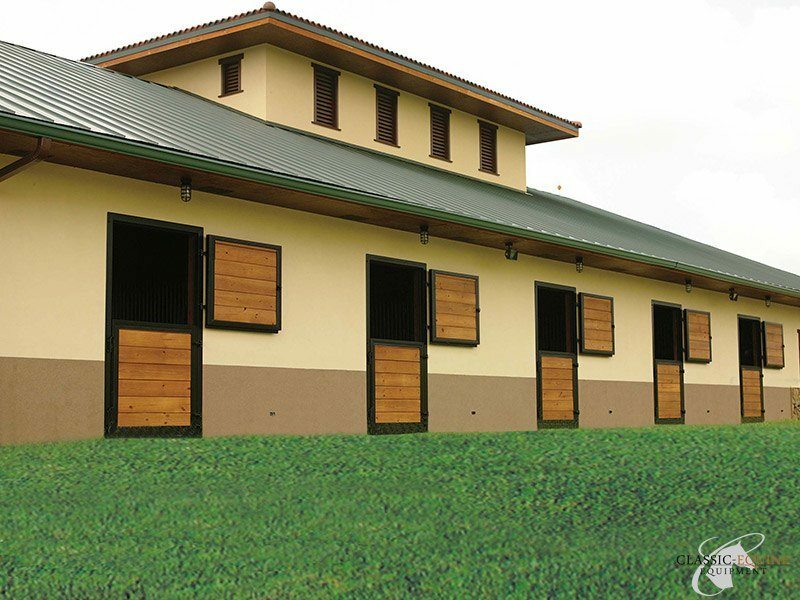 Classic Equine Equipment manufactures one of the most solid and dependable paddock doors in the industry. 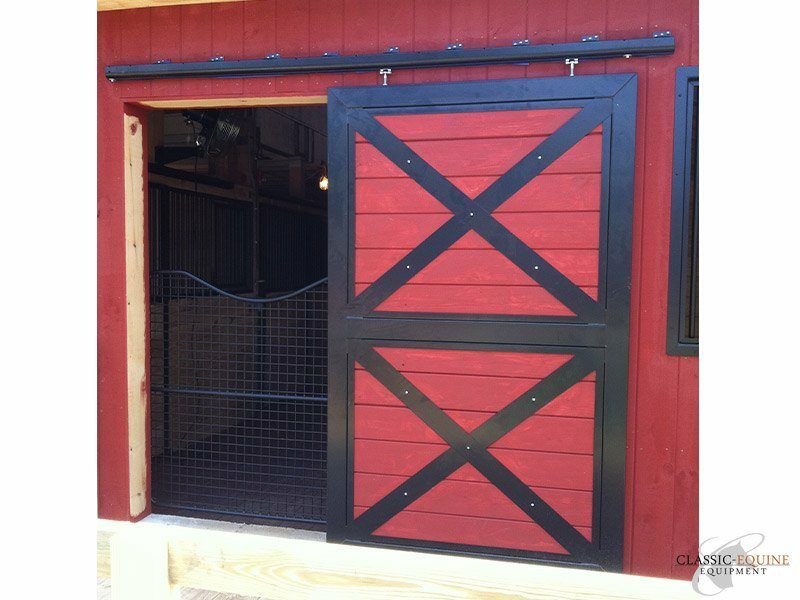 Available in standard 48”x88” opening or we can make any size to fit your application. 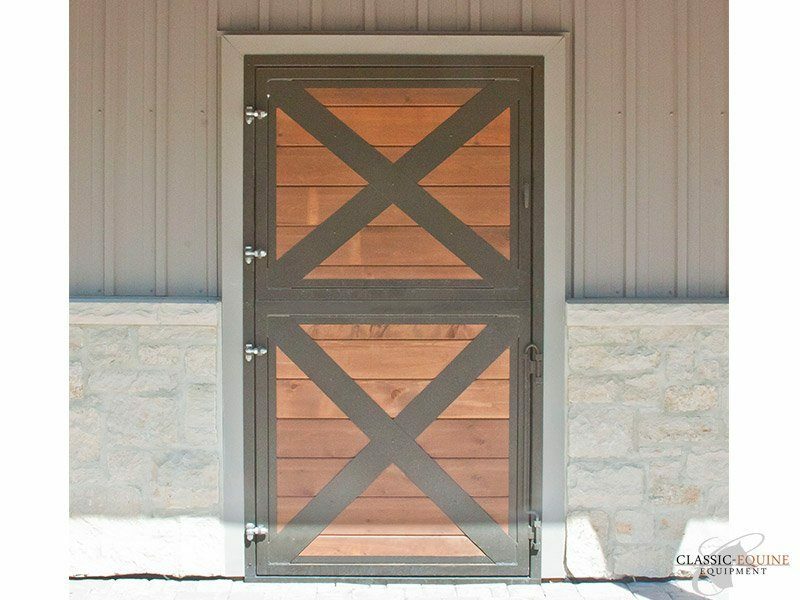 Our Dutch Doors are solid welded and come pre-hung for easy installation. 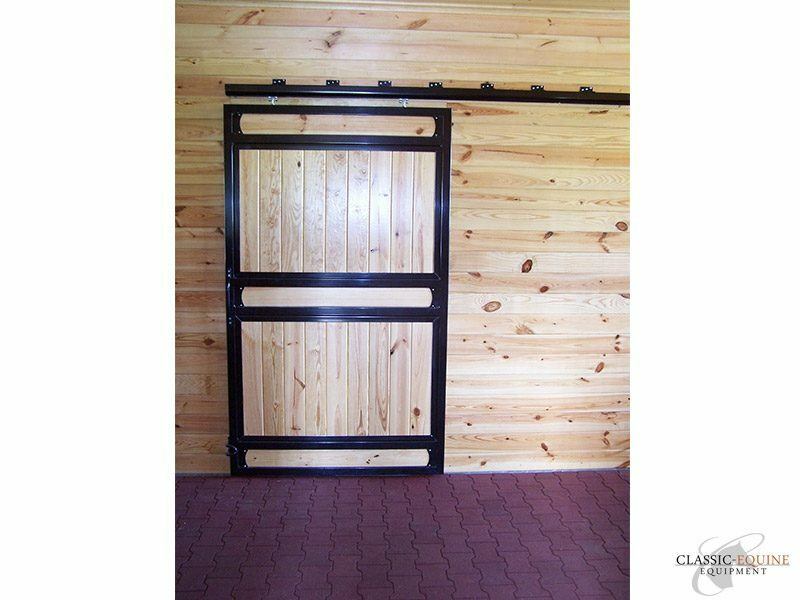 All doors are ready to accept standard nominal size lumber or 1” imported hardwood. 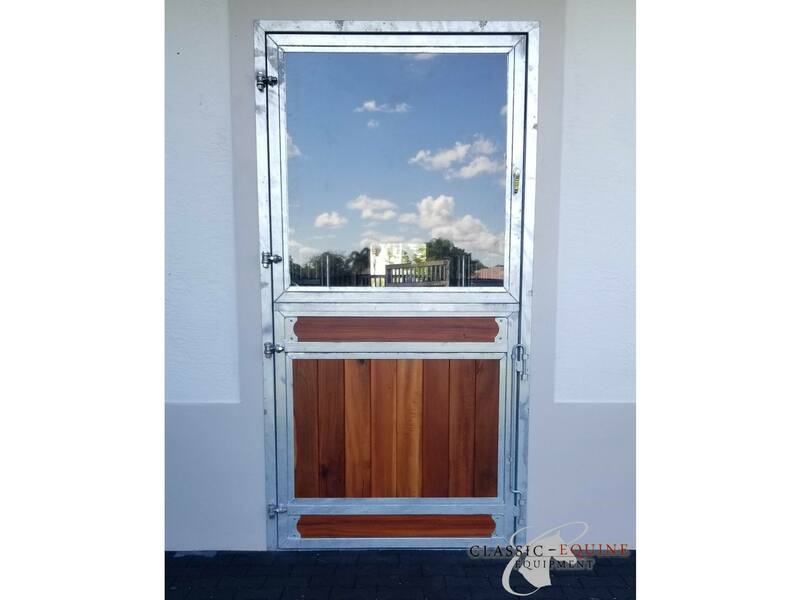 Hinges are fully adjustable and both the hinge bolts and compartment latch are stainless steel for durability and rust resistance. 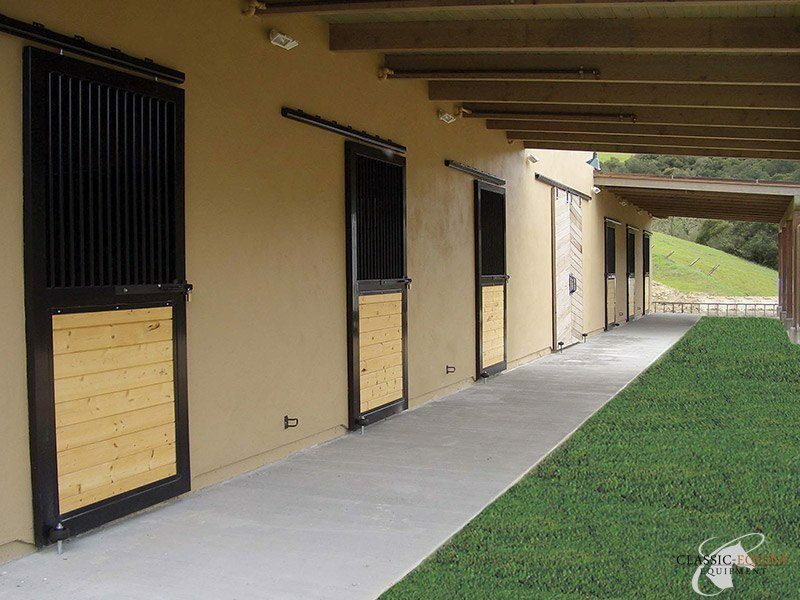 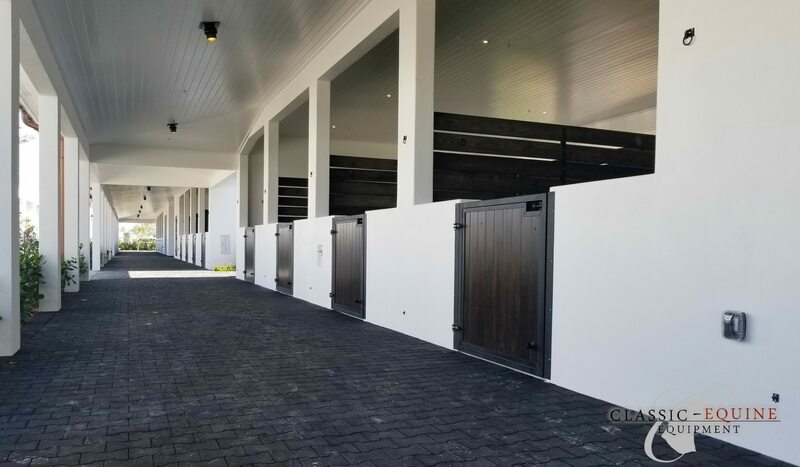 Your horse Paddock Doors can also be sliding and use the same high quality track and trolley systems as our barn end doors.